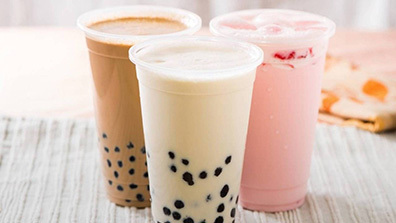 Summer Tea is a famous milk tea from Taiwan and was founded in Malaysia subordinate to Summer Coffee Holding Sdn Bhd specializing in handmade black sugar pearl from professional tea makers in Taiwan. In 2018, Summer Tea successfully entered Malaysia market. By means of a brand positioning of 'Healthiness, Freshness and Good Taste' for the customers. Summer Tea has been extensively recognized by tea enthusiasts. We focus on the development of high-end black sugar tea drinks, Summer Tea expected to open a hundred branches in high-end commercial centers in Malaysia. Professional management and R&D teams in Malaysia have provided powerful guarantee for the brand chain system of Summer Tea. We constantly tries to create a caring and affectionate tea bar cultural brand, so that apart from healthy quality and delicate tastes, it also pays attention to after-sales services. The professional service team of Summer Tea focuses on quality services. The staffs in this team have a passionate attitude to solve after-sales problems. We try to provide the best services for our customers and respect customer's needs and feelings. When a customer is satisfied with the processes, results and other elements of the products or services provided by a certain company, he/she will become reliable and loyal toward that brand. Summer Tea provides the mil tea drinks that go beyond customer expectancy in both tastes and services. The drinks will not only satisfy customer's tastes, but also leave and after taste that touches the deep soul. Only in this way can loyalty be truly established among the customers. Quality first: safe, healthy and tasteful; the raw materials are safe, healthy and not harmful at all; on this basis, we focus on the quality and tastes of our products. Customer satisfaction; Summer Tea intangible goods and services all aim at customer satisfaction, and customer satisfaction is our highest guiding rule. Steady innovation: with steady operation, R&D innovation and the improvement of quality and operating management, we try to build on all win operating mode for customers, franchises and the chain system.